Come see what Pastor Mark is saying! Pastor Mark Driscoll is the founding pastor of Mars Hill Church, a congregation based in Seattle, Washington, that spans multiple locations in five different states. He is the founder of Resurgence (theResurgence.com), cofounder of the Acts 29 church-planting network, and the author of numerous books. Pastor Mark's sermons reach millions of listeners online, and in 2010 Preaching magazine named him one of the 25 most influential pastors of the past 25 years. Pastor Mark and his wife, Grace, have five children. 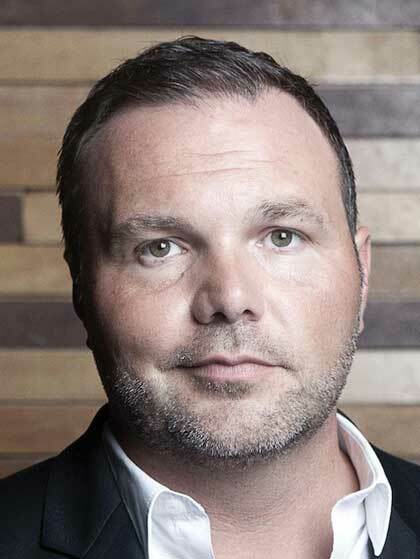 Mark Driscoll es pastor fundador de Mars Hill Church en Seattle, Washington, la tercera iglesia de más crecimiento en los Estados Unidos en el 2012. El es el fundador de Resurgence (theResurgence.com), co-fundador del ministerio Acts 29 y autor de diecisiete libros. Los sermones del pastor Mark son con regularidad número uno en la tabla de religión y espiritualidad de iTunes.